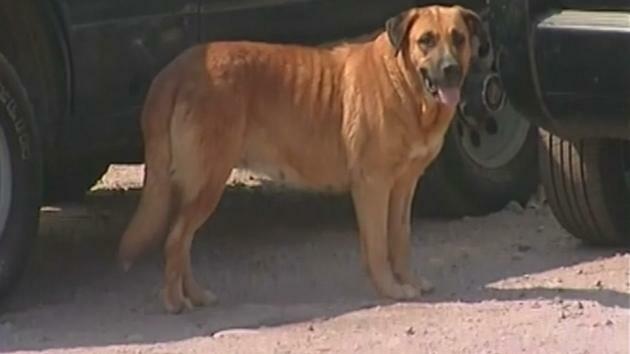 An abandoned two year old boy in Chile was found being kept alive by a nursing dog. The boy was taken into protective custody after neighbors found the boy feeding from their pregnant dog. The two-year-old boy, who has not been identified, was spotted feeding from his neighbor's canine, Reina, after his mother allegedly left him without food or water in the desert port of Arica. Police were called to the scene and the naked infant was taken to Hospital Regional Dr. Juan Noé, some 1,240 miles north of the country's capital, Santiago, where he was found to be malnourished. Speaking to the Star of Arica, Police Captain Diego Gajardo said the toddler displayed clear signs of 'abandonment'. He was seen by a passerby hungrily feeding from the pregnant canine, he said. Gajardo told The Associated Press the toddler was later released from hospital and temporarily placed in the care of local child welfare authorities. However, his mother has not been arrested. Responses to "Abandoned Baby Kept Alive by Pregnant Dog"
That dog looks as though she could be my dog's sister. Must be an Anatolian Shepherd, or dominantly so. Best dog we've ever known--smart, loving, loyal, courageous, and as seen from this story, compassionate. Cheetahs use them as babysitters for cheetah cubs when moms go hunting. Incredible breed. Good for her!